A few years ago I experienced a moment that is now seared into my memory. The moment began inconspicuously. I and some of my Rocky Mountain Vintagers pals were ambling from station to station at Jerry William’s superb Quail Run Sporting Clays Club in Kiowa, Colorado. At a station with two lazy straight-away targets, a dad was teaching his daughter to handle a shotgun. She was slender, about twelve and the pump shotgun her dad maneuvered to her shoulder seemed ponderous. 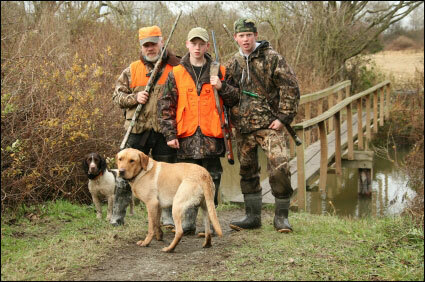 I value dads teaching their children how to shoot so I slowed down to observe and listen to his words. “Keep your head down; lean forward, weight on front foot, watch for target over here….” The dad pointed to a thicket of bramble to their left. Observing that interaction affirmed, yet again, how the shotgun sports offer unique opportunities to teach shooting safety and also teach broader lessons about ethics that reach beyond the shooting sports. Almost all the clay target shooting I’ve done has been with only one other person, most often one of my children, or in small groups, mostly in a squad of two or three. A dominant characteristic of those small groups is trust, and, with my family, there is the added characteristic of love. Those small groups—you can call them audiences—create an intimate and trusting environment that can be superior to other formats for teaching the complex ideas and analyses inherent in proper shooting, specifically, and in living a proper life, generally. 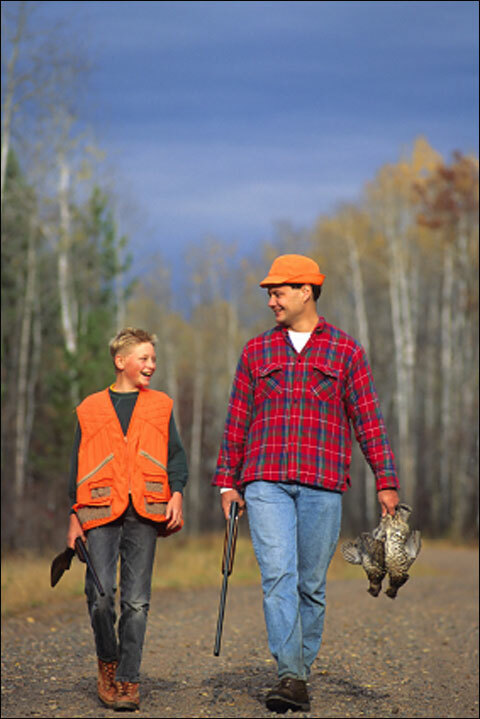 I share three ways that a parent or other mentors can maximize the opportunity to teach ethics by taking advantage of the natural intimacy of the small audience one generally finds in shotgun target shooting and hunting. Good company and good conversation are the very sinews of virtue. I find it easier to talk, to understand and to be understood when conversing with one person or in a small group. I need time to effectively explain issues and time to think about people’s comments. Small groups facilitate those processes. Talking to your child, one-on-one, as did the dad mentioned earlier, is a more efficient way of conveying moral concepts than, for example, by giving lectures to entire football or soccer teams. The most effective way to teach is through dialogue, and the intimate group offers the superior forum for having a meaningful dialogue. The word “dialogue” derives from the Greek dia and logos, meaning thoughts running through. A dialogue is a shared journey of questions and answers that addresses and analyzes issues and identifies the values inherent in those issues. A dialogue is a deliberation process of rational inquiry where questions and answers guide toward education, insight and self-awareness. Two-and-a-half millennia ago Aristotle wrote that no set of rules provides answers and solutions to every ethical problem. Answers, or as he argued, the best of all available answers, are determined through moral reasoning, the process of identifying, weighing and reaching conclusions about facts in a moral context. Moral reasoning is the core skill for teaching ethics and for acting ethically. Thus, teaching ethics effectively requires explaining why something is ethical or unethical rather than providing a list of rules to obey. Moral reasoning can be taught more effectively and be more persuasively reinforced in the small groups we have in the shotgun sports. We don’t want quick statements about facts, conclusions and lessons as if we were instructing our children by a Powerpoint presentation. Dialogues slow the world down and give us time to think. A dialogue can be a spontaneous exciting journey, with no predetermined path and no preconceived conclusions. Think of the incident with the dad and the daughter mentioned above. By taking her shooting and by the happenstance of her unsafely handling the shotgun, the dad taught his child about safety, about respect for life, about excellence, about preparation, about focus—all concepts and skills that transcend merely busting clay disks. A student learns more efficiently when she is engaged in the topic, and engagement is best achieved in an intimate environment. Through the intimacy of dialogue, this dad helped his child become a moral thinker, which is the required precondition for becoming a moral actor. Here is an example of how an intimate dialogue can become a more effective teaching tool for conveying complicated ethical principles than simply stating a rule to a large audience. Hunters and target shooters are told to pick up their empty hulls. The rule is posted at every station at every clay target venue. It’s a good rule. That’s why I tend to shoot break-open guns rather than pumps and semi-autos. It’s getting tougher for me to bend down to pick up the shells. Why pick up the hulls? What’s the ethical justification for the rule? Not picking them up litters and despoils the land. Not picking them up requires someone else has to clean up your mess. Therefore, not picking up the empty hulls is wrong. Not picking up your shells has ethical implications. However, if a football coach tells the players, “Avoid helmet-to-helmet contact,” or if a shooting instructor tells a group of students, “Pick up your empties,” no deeper meanings and implications are explored although the instruction is morally proper in both instances. No dialogue occurs. The opportunity to learn is not maximized. 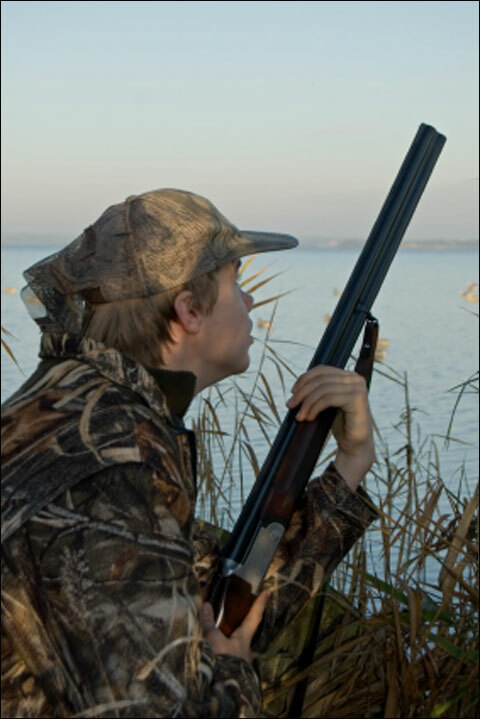 Note how easy it can be for you, as a parent or mentor, on the shotgun course with a child or student, to fluidly transition from a rule—pick up the hulls—to a profound dialogue on ethics that can be persuasive and engaging. You might begin by discussing how the litter of hulls creates angry landowners who become less likely to permit hunting on their land, thereby reducing hunting access. Talk about how owners of clay target ranges have to pay money for employees to pick up the shells, thereby increasing shooting costs and or reducing the income of the club owner. Discuss how it becomes more likely that the club owner will go out of business if he or she cannot receive an acceptable rate of return on his or her time and money. Through an intimate individualized dialogue, as opposed to being given a rule in a larger group, which is easier, the mentor can introduce more effectively complex concepts such as causality and consequences. It is easier to successfully explain that actions, even seemingly trivial actions such as not picking up empty cartridges, have repercussions. Not picking up hulls may lead to the elimination of the sports and heritage the shooter treasures. Through dialogue, the ethical content of behavior is best explored. The intimate environment facilitated by the shotgun sports most easily enables the mentor to illustrate the link between ethical action and the ethical content of an individual. One day I was proudly shooting my new Zoli 28-gauge over/under shotgun with two novice shooters and one expert. I was having a good day, I am pleased to report. Among other notable achievements, I hit nine out of ten springing teal that were about fifty yards away. Coincidentally, I had been pheasant hunting with the Zoli family a few weeks before, and thinking about that experience, I said, for no particular reason that I can recall, that I would not have taken a shot with that gun at a pheasant at that distance. That seemingly trivial comparison—shooting at a clay target at fifty yards with my 28-gauge gun versus shooting at a live bird with it at the same distance—raises a cascade of ethical issues. That brief moment at that station facilitated some meaningful comments among experienced and novice shooters that had profound ethical content. All ethical issues are fact specific. As facts change, the ethical context of the situation changes. Intimate dialogues can most effectively convey facts. Shooting at a clay target at fifty yards with a 28-gauge gun is different from shooting a live bird at fifty yards with the gun. The difference has profound ethical significance. Chipping a clay target raises no ethical issues. Wounding a living creature does. Except for the most elite Digweed-type folks, shooting that 28 gauge at a pheasant or dove at fifty yards would be unethical, and perhaps it would be even for them. Why? Because such a shot violates the ethical principle of Sanctity of Life. Unless the shot string missed completely, pain and suffering would almost certainly be inflicted on a living creature. It is highly improbable that a clean kill would be made with such a shot. It is possible, of course, but it would be more a matter of luck than skill. A similar analysis can be discussed about using shot size and amount. Dusting a clay target at fifty yards using a 7/8th ounce load of #9s rather than breaking it solidly using a 1⅛th ounce load of #7½ shot has no moral significance. You might lose a tournament but you have not acted unethically. In contrast, using a light load with a small shot size likely will increase the odds of wounding a live bird and is, therefore, unethical. Making those kinds of decisions of load, distance, skill and so forth, thus, reflect upon your character, your honor and your integrity. How you approach the shotgun sports becomes an indicator of your moral stature. The small audience facilitates discussing and pondering the variations of facts, their moral significance and the relationship between ethical action and the ethical character of the shooter. The most powerful person is he who has himself in his own power. The shotgun may rightly be viewed as a symbol or as a metaphor for exercising moral and intelligent thought and behavior. Handling a shotgun is, fundamentally, no different from driving a car, starting a campfire, repairing jet engines or, for that matter, being a good mom or dad or husband or wife. All require intellect, judgment, focus, self-discipline and a commitment to excellence. How you deal with the forward allowance of a maddening chandelle may be no different from how you deal with your child not cleaning his room or not mowing the lawn. The gun, then, becomes a metaphor for challenging the shooter to pursue moral judgment, virtue and honor in diverse areas. The many issues raised in the shotgun sports that have moral significance—self control, humility, self awareness of skill level, knowledge about guns, cartridges, ballistics and so forth—are all transferable to almost every dimension of life. The issue of picking up the empty hulls is directly related to the largest philosophical issues the human mind can contemplate: Why be good? Why are ethics ethical? How will my actions impact the world? Within the intimacy of small shooting groups and squads, with family, friends and dedicated students, we can explore, talk, discuss, argue, test ideas and consider consequences. The shotgun sports can allow us to maximize the benefits of some of those shared moments. We certainly do not want to be unrelenting in our teaching. That would risk becoming ponderous and tedious about all things good and moral. With such behavior, we will soon find our children preferring to clean the garage rather than going out to the range or into the field with us. It’s a matter of judgment and subtlety; more like swinging an elegant 28-gauge field gun than a massive 12-gauge target gun. Michael G. Sabbeth is a lawyer in Denver, Colorado. He lectures on ethics and rhetoric to law associations and civic and business groups. He is the author of the newly published book, “The Good, The Bad & The Difference: How to Talk with Children About Values.” Please visit his website at www.kidsethicsbook.com .